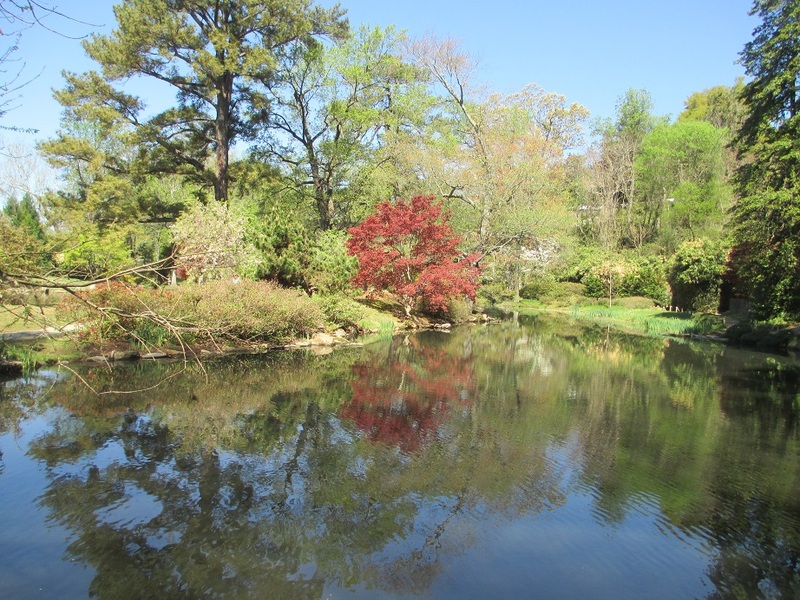 This entry was posted in Travel, USA and tagged reflections, spring, trees, Virginia. Bookmark the permalink. Thank you – these scenes remind me of why I like spring so much! Meg, your photos are so beautiful and crisp, I could almost smell the fragrance from the new growth. Lovely spring! Thanks Darlene and a very happy spring to you too! Thank you – spring is a really lovely time of the year! Very spring-like. Fresh and beautiful. I think it’s the freshness of spring that makes it such a special season! Love the beautiful, peaceful walk, Meg! 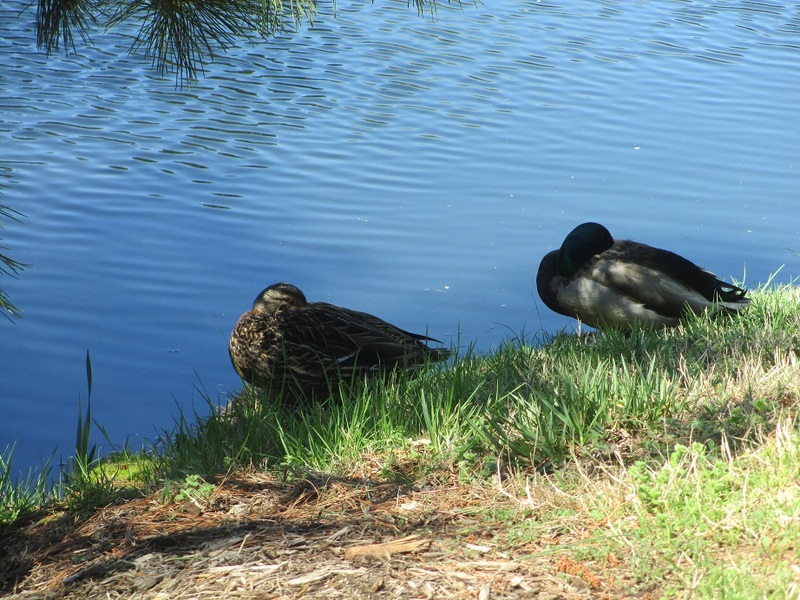 Thanks Lorna – I thought that the ducks were really cute! You have leaves and sunshine !!! Beautiful, Meg !!!! I hadn’t seen anything like those stones – they were really unique! I love those stepping stones how lovely to be able to ‘walk’ on the water. Great images. Thank you so much – it was a charming walk! So beautiful and peaceful, Meg! It was really an amazing place! Beautiful photos. 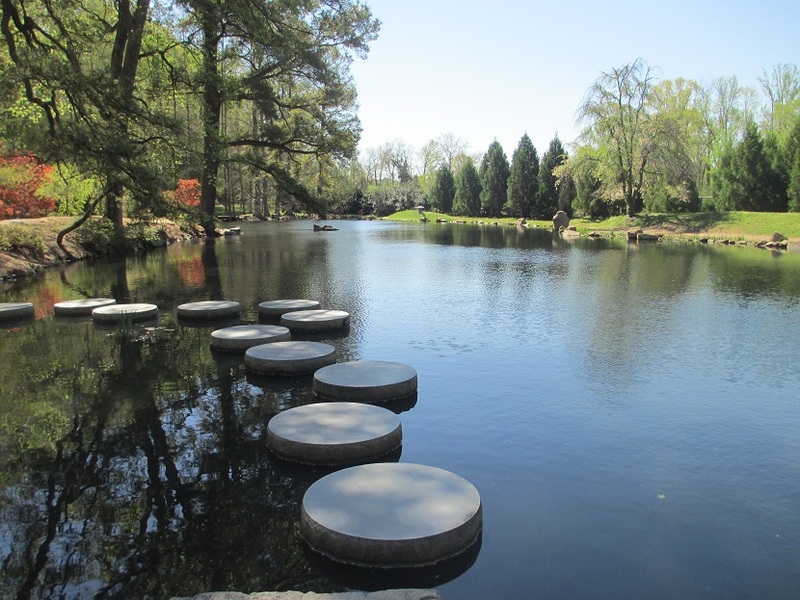 I love the stepping stones, may I ask where this view was taken? I want to visit some day. I especially like your first photo, really good Meg. Thank you Karen – I’m enjoying the earlier spring weather here in Virginia very much! I could almost smell the fresh spring air, looking at these serene photos. It was a lovely scent, very fresh and woodsy. It was a delightful day! Thanks Patti – I’m finding some lovely places in Virginia!